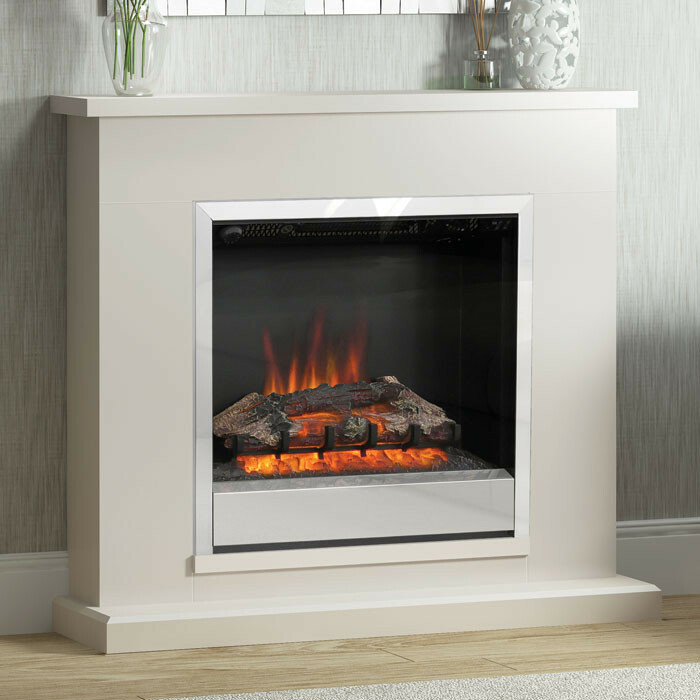 The Be Modern Elsham Electric Fireplace Suite consists of the Elsham fireplace surround in Pearlescent Cashmere effect, Pearlescent Cashmere effect hearth and a widescreen 2kW electric fire with Chrome trim. 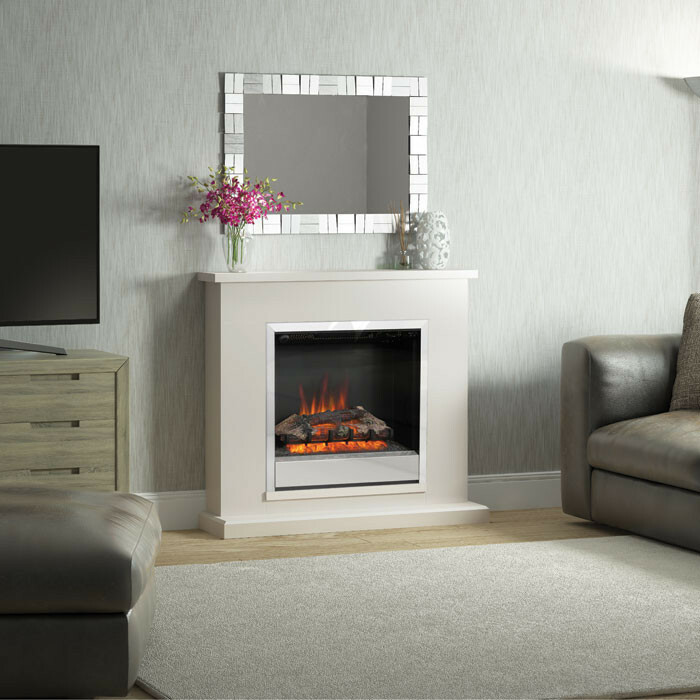 The Be Modern Elsham has been carefully designed to provide a glowing natural focus on a wall, in any living space. 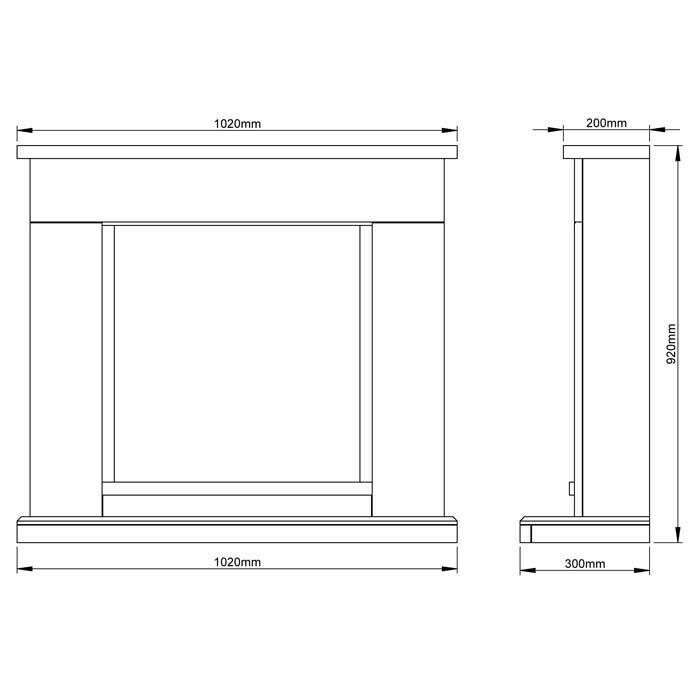 With a timeless design, this fireplace would look perfect in either a traditional or contemporary style living room which gives instant heat from it's thermostatic controls for lasting comfort. 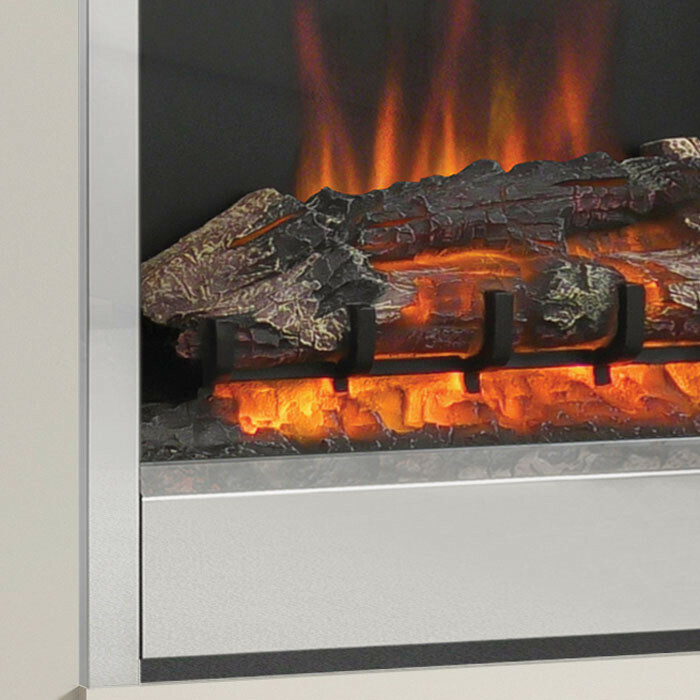 There is no need for a chimney or a flue with the Elsham electric suite and it can be installed onto a flat wall, an ordinary power socket is required so simply plug in and enjoy.